Researchers from the Chinese University of Hong Kong have developed bizarre malware that dictates contacts, emails and other sensitive text data in order to steal it. In the novel attack a seemingly innocuous app that required no permissions called a bad guy's phone number and blabbered the stolen data out of the speakers and down the microphone using Google Voice Services (GVS). 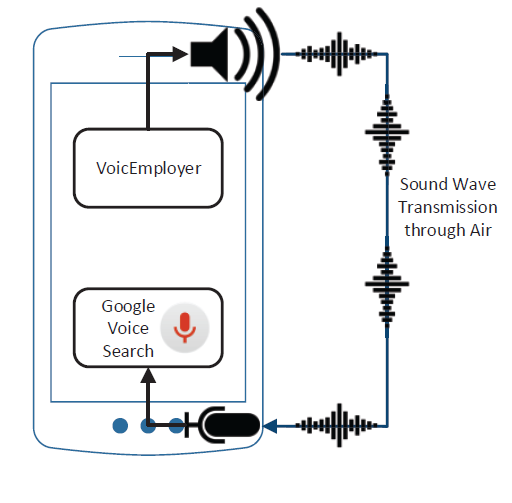 It affected 'nearly all' Android devices and could not be detected by VoicEmployer malware or victims, provided savvy hackers conducted the attack in the wee hours with the volume turned down. The GVS-Attack was not nearly as powerful as malicious apps that required users to blindly grant permissions to enable widespread botting and bank account pilfering, but it did break new ground in the ability for malware to exploit the so called zero-permission state previously considered safe. 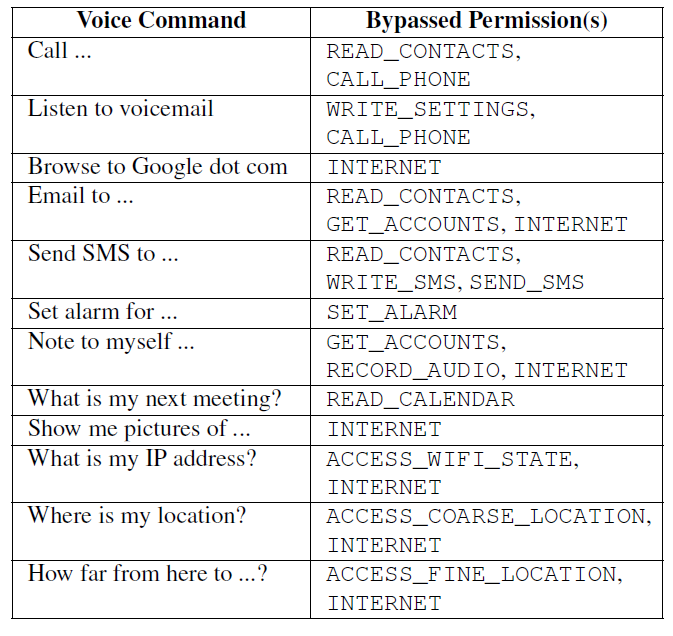 "Through invoking the speaker, this zero permission app can make phone calls, forge SMS/Email, steal personal schedules, get the user location, [and] transmit data remotely," Wenrui Diao, Xiangyu Liu, Zhe Zhou, and Kehuan Zhang wrote in a paper Your Voice Assistant is Mine: How to Abuse Speakers to Steal Information and Control Your Phone. "Generally a mobile malware needs quite sensitive privileges (even root) to achieve remote control. However our attack doesn't need any permission. "This inter-application communication channel and transmission media are beyond the control of Android OS." User devices could be activated when the phones were securely locked due to a bug in which the Google Search app -- which granted more privileged access to bluetooth devices -- did not check if a device was actually attached. Attackers could glean a users location, their IP address and possibly capture pictures by converting these to HEX before dictating it down the blower, researchers said. The hack served more as a new avenue for targeted intelligence gathering operations rather than as a set and forget attack in which financial or login data would be pillaged en masse. It could, Vulture South imagines, also serve as a means to terrify a population by whispering things as victims sleep, or ruin their mornings by setting alarms to blast at 3am across the world. The researchers pulled off their attacks on a Samsung Galaxy S3, running both stock firmware and modded with CyanogenMod, a Meizu MX2 and a Motorola A953.